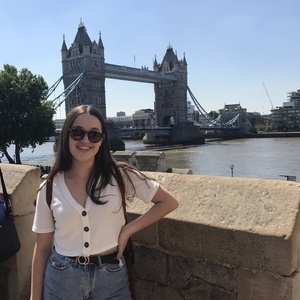 Hi Mums and Dads, I’m Charlotte and am in my second year at Macquarie University. I have 6 years of babysitting experience and am responsible and good with children. I have both my bronze first aid certificate and a valid working with children’s check. I will give full attention to your children and I am trustworthy, reliable and responsible. I am avaliable throughout the week, on weekends and in the evening for both nannying and babysitting. I have been babysitting for about 6 year now and I also led crèche at St Matthews Anglican Church in West Pymble every week from 2014 to mid 2016. I have also coached multiple netball teams including the under 11s at West Pymble Netball Club. "Charlotte was polite, punctual and very responsible. Our girls enjoyed their night with her. Thank you Charlotte!" "Great help, did the job she was asked. Kept our 5 year old entertained. Whould use again"